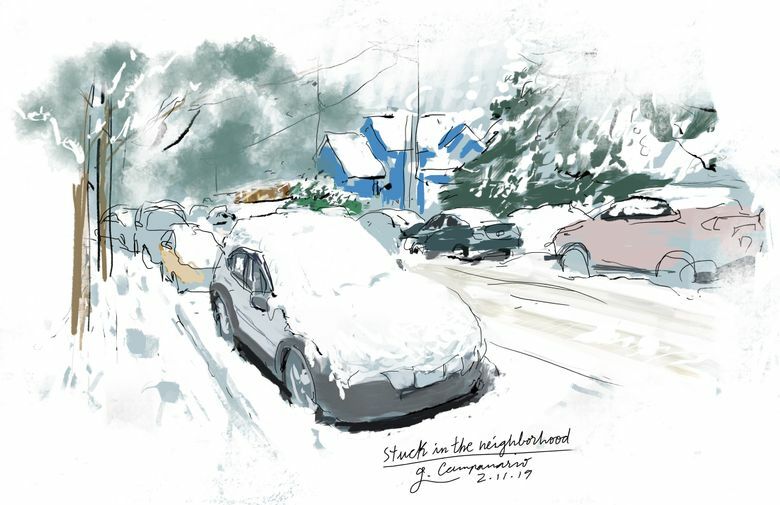 As Seattle (finally) begins to thaw out, Seattle Sketcher Gabriel Campanario shares a couple of his favorite drawings from the 2019 Seattle Snowpocalypse. Even a boring row of cars buried under snow near my home in Mill Creek makes for a pretty picture. But after a week of back-to-back record snowstorms, I can’t wait for things to return to normal. Unless you had a four-wheel-drive vehicle, it was best not to hit the roads, so I worked remotely and took some walks to combat the cabin fever. 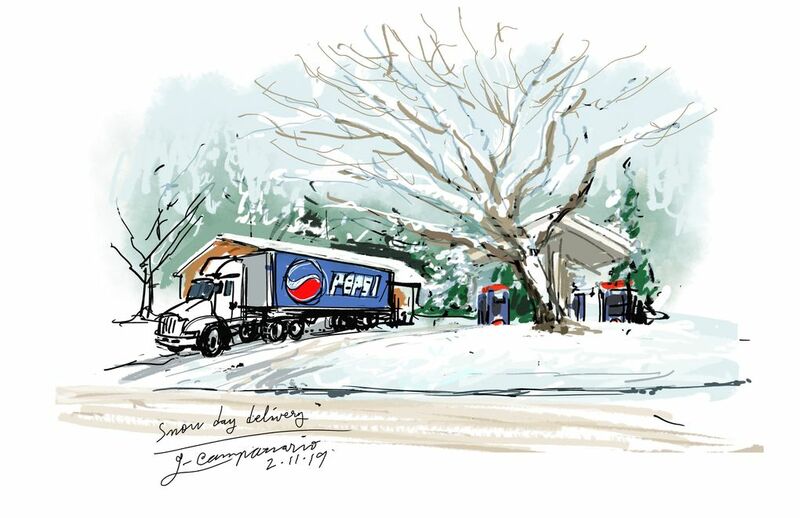 The Pepsi truck making a delivery at a nearby gas station caught my eye during one of those walks. It added a bright accent of color to the snowy landscape, and also reminded me to be thankful to all the workers who have been stocking the shelves at stores and supermarkets these days. As the temperatures begin to rise and the snow starts to melt, I look forward to sketching in dry weather again!